Let's work together. If you have a project in mind, fill out the client contact information below and tell me a bit about the project. I am a freelance illustrator and designer. Clients and collaborations include: Papyrus, BlogHer.com, Pattern Observer, Apartment34.com, MomathonBlog.com, PetLoveDesigns. Like Chris Olson's work? Great! If you have a project in mind, fill out the client contact information below and tell us a bit about the project. 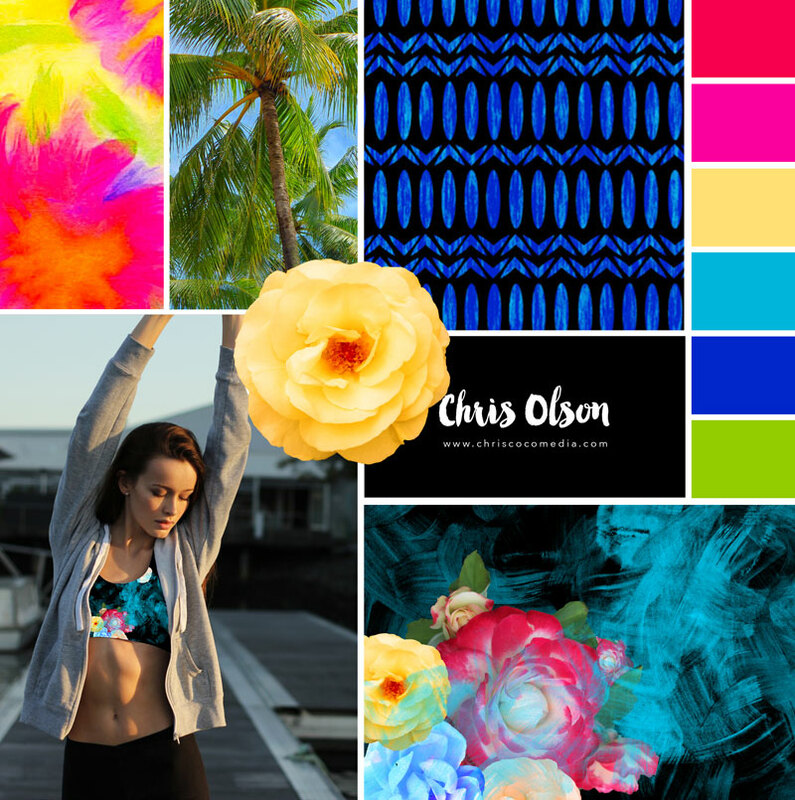 Chris Olson is a licensed illustrator and designer specializing in original artwork and surface pattern designs for stationery, textiles, apparel and home furnishings. There are lots of different ways in which I collaborate on projects, the most common of which are described below. 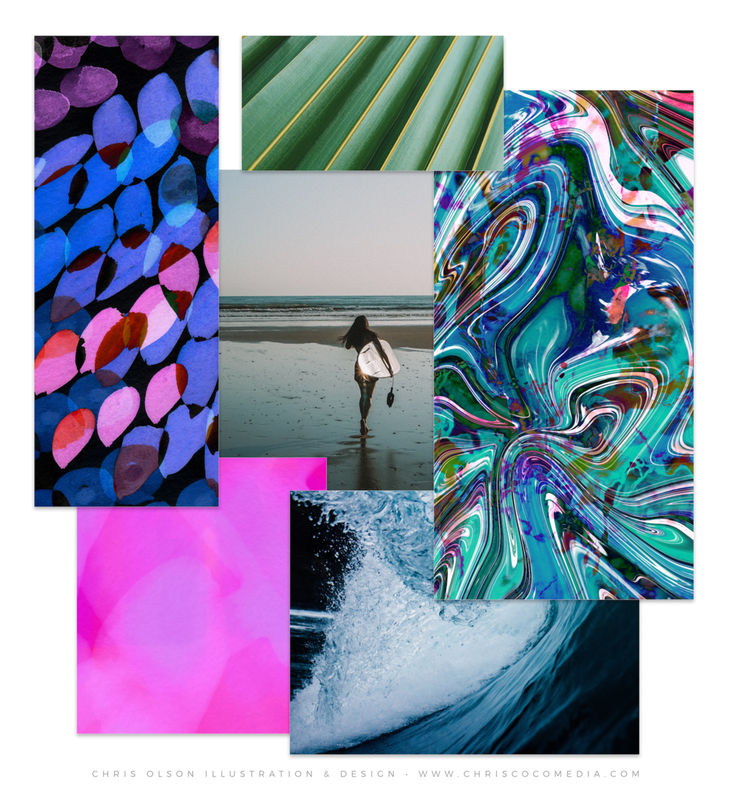 If you are interested in graphic design or surface design, please send Chris an email via this contact link and tell her a bit about the project you have in mind. You can view samples of her patterns here. If you would like to request access to the full pattern library in her online portfolio, please use the form at the "Online Portfolio Password Request" page. If you already have the password, you can view the collections here. Trend and Creative Brief Savvy: Chris is experienced in developing art and designs to a creative brief for Surtex and Inception trade shows as well as creative briefs for brands and design studios. Sketchbook art by Chris Olson. Vector botanical art by Chris Olson features a hydrangea pattern. Here are just a few of the design services you can request. Create art/designs according to a creative brief. Recolor Art and Patterns for apparel, home decor, and stationery. Create vector artwork for print production. Commissions: If you are interested in having me create an illustration, please send Chris an email via the contact link below and tell her a bit about the project you have in mind. You can view samples of her illustrations here and here. Custom art: Do you have a wedding, anniversary, graduation, birth of a baby, or another important date you are celebrating? If you are interested in a custom illustration or a map for an invitation or announcement, please send Chris an email via the contact link below and tell me a little about the project you have in mind. I partner with brands to help them develop a marketing strategy through social media, webinars, and events. Projects include custom-branded content through design, writing, and editorial direction. You can find out more about my services at my Branding and Marketing page. Sample work in progress photo showing the art process of developing color stories. Artwork and recoloring in Adobe Illustrator by Chris Olson. The original artwork was hand painted by Chris and then revised to create a vector design with a more manageable limited color palette. This vector artwork features a 18-color palette. Alternate color palettes were also created. If you have an illustration or design project for me, please send me an email via the form below. I look forward to hearing from you. Thanks for your interest. Chris Olson will contact you soon.